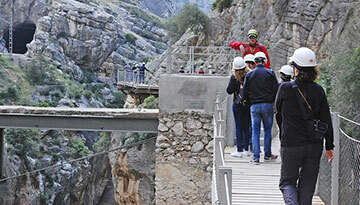 Gateway to the famous Costa Del Sol and the region of Andalucía. Boasting a vast array of beach resorts from the up market areas of Marbella and Puerto Banus to the more commercialized areas of Fuengirola and Benalmadena. The coastal resorts of the Costa Del Sol have always been a magnet for Brits and therefore, transformed very much into a little Britain in the sun. Venture in land half an hour and see the transformation from little Britain to Spanish charm, so it really is your choice - chose from immersing yourself deep in the Spanish culture, snacking on tapas and paella in a charming Spanish village or find yourself that full English with Danish bacon al fresco on the beach front, followed by a swift half in the local pub. 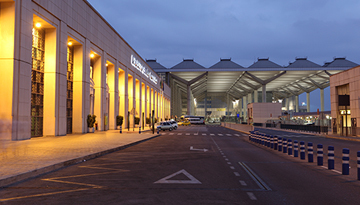 Flights to Malaga are aplenty and have been for decades with more flights from the UK to Malaga than from anywhere else, it seems us Brits just can't get enough of the place and with capacity on the increase year on year, cheap flights to Malaga are in abundance. Add the cheap airfare to Malaga with the two-hour flying time, 160km of beach and over 300 days of sunshine each year and it's not hard to work out why it has become one of the UK's favourite places in the sun. The region also has many areas of outstanding natural beauty, the Montes De Malaga national park with its breathtaking vistas is well worth a visit to get away from the madding crowds on the beaches with its dense pine forest, waterfalls and hiking and biking trails. Expedia offers low-cost flights to Malaga from London - price starts from only £73 as return. 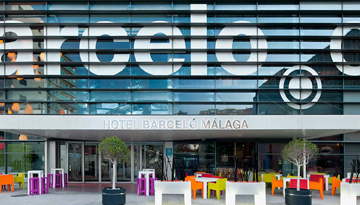 Guests of Barcelo Hotel in Malaga can relax in the comfortable seating area & treated to spacious rooms. Fly from Bristol - Malaga & Stay for 7 nights with 4 star accommodation. Room Only.